Product #46616 | SKU 14068 | 0.0 (no ratings yet) Thanks for your rating! 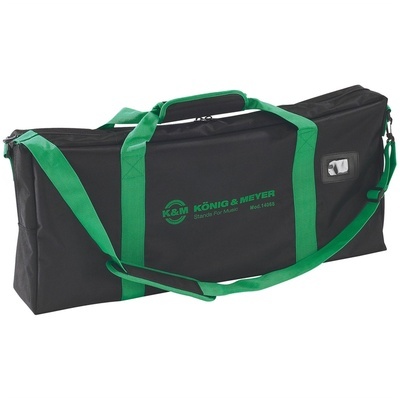 The K&M 14068-000-00 Carrying Case is a sturdy tearproof, nylon case exclusively designed for carrying keyboard benches. Padded handles and an adjustable shoulder strap ensure that you are comfortable while lugging your bulky keyboard bench. Additionally, this case has a convenient zip fastener and plastic rubber feet at the bottom for non-slip contact on smooth surfaces.